As I am sure my nephews/nieces-in-law don't read my blog, these are gifts for my new grand-nephews. 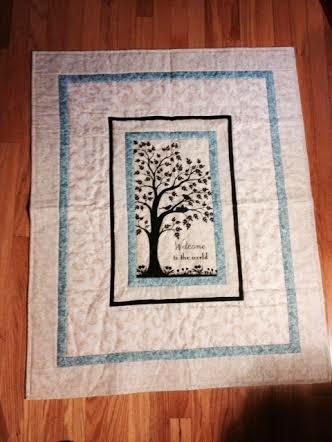 The tree needs more quilting in those wide spaces. 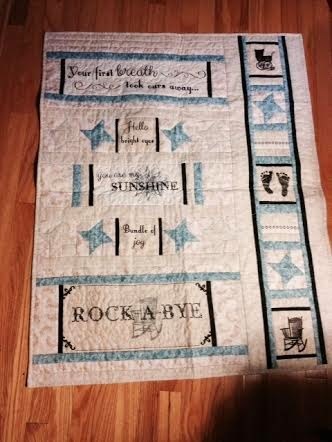 I did stitch-in-the-ditch on all seams, outlined the pale stars with satin stitch in blue, and meandered in the larger word spaces.